Are you looking for stone tile flooring? What’s your ultimate goal when it comes to using stone tile? There is a wide variety of style, colors, and patterns that can be found with natural stone tile, whether you’re interested in travertine, slate, marble, limestone, or granite. Nonetheless, how you want your flooring to look and accent the room will influence which stone tile you choose for your flooring. Whether you’re installing flooring in the kitchen, tile, or other space, stone tile is a great choice. In this post, we’ll share the seven benefits to using natural stone tile for your flooring projects. You can call or visit the Transworld Tile showroom today to discuss your project and which stone tile you want to use. We proudly offer tile and design services to residents and contractors from San Fernando, Los Angeles, and Thousand Oaks. We’re centrally located between the three and always ready to assist. Otherwise, continue reading to learn more. When you choose Transworld Tile for your stone tile needs, you’ll find great flooring choices for your bathroom, kitchen, entryway, patio, and more. Our stone tile collection also includes decorative chair liners and rails. You will find what you need at our showroom for any tile renovation project. Stone is a naturally hard material. When used as floor tile, it holds up to its reputation. It will take a lot of wear and tear before you need to replace it. Most stone tile is resistant to scratching and abrasion. 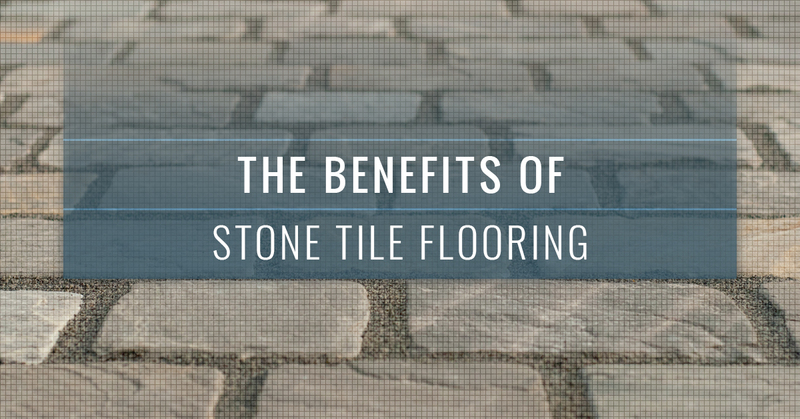 This means that you can trust stone tile to last a long time before needing to replace it. Also, maintaining stone is relatively simple compared to other tile materials. You will find that stone tile offers many design, color, and pattern options to play with. Whether you’re sticking with a traditional design, or you want to get creative with a modern aesthetic, you can find a stone material that will fit your project. Stone tile comes in various types, including travertine, slate, marble, limestone, or granite. Depending on what you want to achieve with your stone tile flooring, this will influence which type of stone you will choose. Stone tile flooring is great for increasing the value of your home, if you install it to replace a lesser valuable flooring material. Also, the lifespan of stone is a great selling point, seeing that it will last years before needing to be restored or replaced. Stone tile can be used for flooring, backsplash, countertops, patios, and just about any other surface you can imagine. It’s a durable, versatile material with a myriad of style and design choices to consider. Finally, stone tile is timeless. You can find stone used in ancient buildings, as well as, contemporary architectural wonders. It’s almost safe to say stone transcends time; however, we’ll let you decide that with your next tile renovation project. For more than 30 years, Transworld Tile has offered stone tile to the residents and business owners of San Fernando, Los Angeles, Thousand Oaks, and the surrounding areas. It’s no wonder that our customers love coming to us for tile and design advice. Our extensive knowledge in tile materials, designs, styles, colors, and patterns is unmatched in the area and the industry. Still looking for that perfect stone tile? Give us a call or visit our showroom today!